We Americans are lotion lovers. But in Europe and other parts of the world, oil is actually the more popular option for hydrating dry skin... The truth is, most natural oils are easily absorbed, not greasy, and noncomedogenic; that is, they have a low potential to clog pores, which makes oils perfect for all skin types. Moisturizers often contain the most synthetic chemicals and petroleum by-products, many of which are linked to health concerns. Seeing as moisturizers work by deeply penetrating skin, it's smart to consider using green products, which contain fewer synthetic chemicals that may enter your bloodstream. 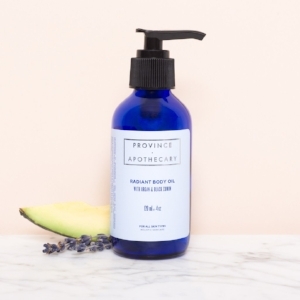 If you are looking for a natural brand that is effective, look no further than Province Apothecary. An alluring body oil ideal for all skin types, their blend of beautiful plant-based essential oils quickly absorb deep into the skin to effectively nourish and soften, boost cellular circulation, and gently detoxify the body. 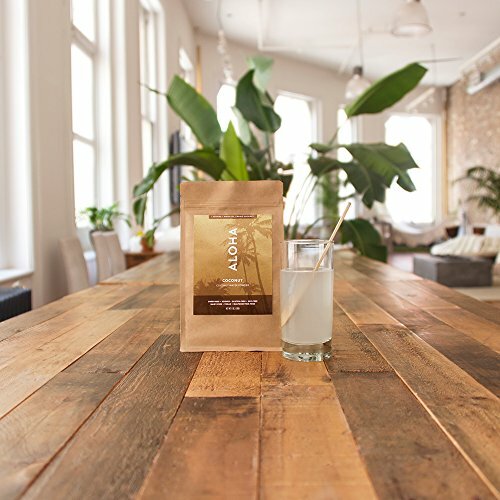 The light and invigorating botanical fragrance will enliven and empower your spirit, leaving you balanced and revitalized.Organic Argan Kernel oil is considered one of the most valuable and sustainable oils in the world. It is an extremely moisturizing oil, high in Vitamin E, Omega-6 fatty acids and antioxidants. It is abundant in plant sterolins, which help restore skin’s lipid layer, improving its ability to retain moisture and resulting in softer, smoother skin. Black Cumin Seed oil is long recognized in the Middle East as a medicinal oil. It soothes and moisturizes the skin and is high in vitamins and minerals, including vitamins A, B, and C, potassium, copper, zinc and selenium. Avocado oil is rich in antioxidants, Vitamins A, D, and E and omega-3 fatty acids which deeply penetrate skin to fight dryness, dullness, and dehydration. Motherhood is a real spectacle. The thought of the actual process still seems to leave me in disbelief. One of the true miracles of life. When preparing for the baby it seems like here begins the stage when the change begins to happen. Women begin to form attachment to the life that is growing inside of them, and they realize that "Wow, Im about to be someone's mother!" A man can be there for his wife but they can never fully understand what they are going through. Whether you decide to go back to work after giving birth or to stay at home, that should be your personal decision, and you should feel no pressure from anyone else because at the end of the day, you and your child's life has nothing to do with them. Motherhood is a full time job, when your partner is out all day at work and socializing with co-workers and friends, you are at home taking care of your child, cleaning up after them and ensuring their safety and wellbeing. Never let your partner expect that when they come home from work that you should dote on them hand and foot because You've been working all day as well! How would they like it if they had to be at work 24 hours a day. Exactly. Take time to cherish the first year of your baby because it is true "They really do grow up fast" take photos of them at monthly intervals and marvel at the miracle that you created (with some help of course). As I've said, motherhood is a job and who wants to work 7 days a week? Not anyone that I know. You need to remember to take some time to yourself. Take one day out of the weekend or when your partner is off and go hang out with your friends, get your hair done or do some shopping for YOU. The baby is also your partners, so make sure they get their one on one time so that you can spend some time with your original number 1 (yourself). It is true that your priorities shift in life, after marriages, and then after you have children but that doesn't mean that you should forget about how important your wellbeing and sanity is to you and those around you! You need to be taking time to refresh and recharge. Make yourself look good for you because that outward confidence will remind you how you were blessed with your wonderful family in the first place, because you are beautiful inside and out. We have come a very long way in our achievements in modern medicine and although we may have a lot of products and services now that can allow you to live a full and regular life, you should always take prevention as primary care. Protect yourself and others by knowing all of the facts. If there is something that you begin to describe as "Well, I think..." then you need to ask your doctor or healthcare professional more information. There are many options out there now to keep you safe and one of the most popular in the recent years is PrEP: Pre-Exposure Prophylaxis, and it’s the use of anti-HIV medication that keeps HIV negative people from becoming infected. PrEP is approved by the FDA and has been shown to be safe and effective. A single pill taken once daily, it is highly effective against HIV when taken every day. The medication interferes with HIV’s ability to copy itself in your body after you’ve been exposed. This prevents it from establishing an infection and making you sick. Around 1.2 million people in the United States are living with HIV, and one in eight people don't know they have it. Nearly 45,000 people find out they have HIV every year. HIV testing is the gateway to prevention and care.